1. What is the definition of a charter school? 2. How can I find a charter school near me? 3. Do students achieve in charter schools? 4. Who can attend a Charter School? 5. Are all charter schools the same? 6. How are charter schools funded? A charter school is a public school that is independently run. It receives greater flexibility over operations in exchange for increased performance accountability. The school is established by a “charter,” which is a performance contract describing key elements of the school. The charter contract describes things like the school’s mission, instructional program, governance, personnel, finance, plans for student enrollment, and how all these are measured. State laws and charter contracts provide schools with autonomy over curriculum, personnel, budget, and schedule. Charter schools are schools of choice, meaning students are not assigned to the school because of where they live. Instead, families must choose to enroll their child in a charter school. As public schools, charter schools are prohibited from charging tuition. They must not discriminate or be religious in their operation or affiliation. In most cases, charter school admissions are determined by lottery when there are more applications than available seats. Charter schools are not exempt from federal laws that cover students’ rights or safety, including special education and other civil rights protections. They are also subject to state accountability systems, and their students must take required state tests. In exchange for this autonomy, charter schools are subject to periodic performance reviews and may be closed for failing to meet agreed-upon outcomes. Charter schools receive public funding based on the number of students they enroll. In general, charter schools receive less funding than traditional public schools in the local area. How can I find a charter school near me? To find public charter schools in your area, search through our directory and visit your state-specific resource page for additional information. Charter schools are in many types of communities, including urban areas, suburbs, small towns, and rural communities. While charters are disproportionately located in cities, many operate in other communities. Charters can only open in states with a charter school law. Currently, 44 states and the District of Columbia have a charter school law. Do students achieve in charter schools? Charter school performance, like that of district schools, is mixed. As the charter school sector ages and learns from experience, some recent studies have shown the average charter school student outperforms his/her peer in traditional schools. In a 2013 national study of charter school performance, Stanford University’s Center for Research on Education Outcomes (CREDO) found that students attending charter schools made learning gains equivalent to seven additional days of learning per year in reading compared to peers attending district public schools. Charter schools are usually located in cities. A 2015 CREDO study of cities across 41 regions found that urban charter schools on average achieve significantly greater student success in both math and reading compared to district public school peers. These charter school student learning gains amount to 40 additional days of learning growth in math and 28 days of additional growth in reading. Average differences between charter schools as a group and all traditional public schools tend to be small. However, there are more significant differences for specific groups of students and types of charter schools. Beyond academic performance, the sector has made substantial advancements in quality, progressing in organizational efficiency, innovation, accountability, and public acceptance. The sector is winning an increasing number of Investing in Innovation (i3) federal grants, given for innovative practices for student achievement. As public schools, charter schools cannot discriminate in their admissions policies. All state and federal civil rights protections remain in place for charter schools, and they are required to comply with special education laws. Charter schools are not allowed to admit students based on previous performance or test scores. For many schools, if more students apply than the school can accommodate, admissions are based on a lottery. Are all charter schools the same? Charter schools are very diverse in their approaches to schooling. A charter is a mechanism that allows a public school to pursue a mission or approach to teaching and learning put forward by the people who applied for the charter. 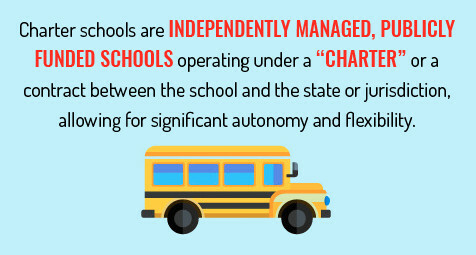 Charter schools are public schools that operate with more freedom than traditional schools have to determine their instruction/curriculum, length of days/school year, and autonomy from state and local rules regarding budget management and staffing. Charter schools receive funding based on the number of students that enroll. They only receive funding if parents choose to send their children to the school. The level of funding is determined by the state charter law and the state finance system for public schools. As public schools, charter schools have access to most grant programs available to traditional public schools. However, each state’s approach to a charter school’s legal status influences how charter schools can apply for or use funding sources. 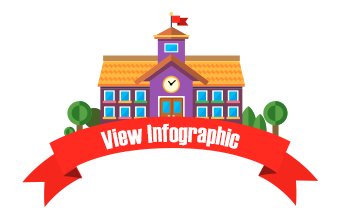 To find more information on charter schools, visit our FAQ page here.